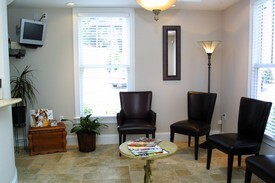 Our practice offers quality gentle dental care and exceptional customer service in a new facility with cutting edge technology and many of the comforts of home. Let us sculpt your smile as you maximize your investment and smile with assurance! Contact us today at 770-433-0445! Clarence Addison, DMD is dedicated to excellence in dentistry, specializing in invisalign and Zoom! whitening. His office is located in Smyrna, Georgia.